About a decade ago there was much talk of a “nuclear renaissance” amid concerns about greenhouse gas emissions and the increasing cost of fossil fuel alternatives. The Nuclear Regulatory Commission received applications to build no less than 31 new nuclear plants as the price of crude oil spiked to over $140 per barrel. Now, however, with last month’s decision by SCANA Corp. to abandon the V. C. Summer project, a pair of nukes that had been under construction in South Carolina, nuclear’s future prospects look dim, at least in the United States. Two plants remain under construction in Georgia but, like the ones abandoned in South Carolina, they are to be AP1000s, designed by Westinghouse. Westinghouse filed for bankruptcy in March. Delays and massive cost overruns similar to those that led to the demise of V. C. Summer also afflict the Georgia project, and its future seems doubtful at best. In short, the dream of a nuclear renaissance has evaporated. For the time being, at least, nuclear in the U.S. is no match for more agile competitors like wind, solar, and natural gas. However, there may be a silver lining to this cloud. Plants like Westinghouse’s AP1000 waste most of the energy in their nuclear fuel, creating massive amounts of avoidable radioactive waste in the process. To the extent that it makes sense to build nuclear plants at all, these are not the kind we should be building. To understand why this is true it is first necessary to acquire some elementary knowledge about nuclear physics. The source of the energy produced in the core of nuclear reactors is a nuclear fission chain reaction. Only one material that exists in significant quantities in nature can sustain such a chain reaction – uranium 235, or U235. U235 is an isotope of uranium. Isotopes of a given element consist of atoms with the same number of positively charged protons in their central core, or nucleus. Like all other isotopes of uranium, U235 has 92. There are also 143 neutrally charged neutrons, making a total of 235 “nucleons.” Natural uranium consists of only about 0.7 percent U235. Almost all the rest is a different isotope, U238, with a nucleus containing 146 neutrons instead of 143. When we say that U235 can sustain a nuclear chain reaction, we mean that if a free neutron happens to come within a very short distance of its nucleus, it may be captured, releasing enough energy in the process to cause the nucleus to split into two fragments. When this happens, more free neutrons are released, that can then be captured by other uranium nuclei, which, in turn, fission, releasing yet more neutrons, and so on. As noted above, U235 is the only naturally occurring isotope that can sustain such a nuclear chain reaction. However, other isotopes can be created artificially that can do so as well. The most important of these are U233 and plutonium 239, or Pu239. They are important because it is possible to “breed” them in properly designed nuclear reactors, potentially producing more usable fuel than the reactor consumes. U233 is produced by the reactions following absorption of a neutron by thorium 232, or Th232, and Pu239 by those following the absorption of a neutron by U238. In other words, we know of three practical types of nuclear fuel; U235, U233 and Pu239. The first occurs naturally, and the other two can be readily “bred” artificially in nuclear reactors. Let’s consider what this means in the case of conventional nuclear reactors like the Westinghouse AP1000. These are powered by fuel elements that typically are enriched in U235 from the naturally occurring 0.7 percent to from three to five percent. The remaining 95 to 97 percent of the uranium in these fuel elements is U238. When the fission process starts, some of the neutrons released are captured by the U238, eventually resulting in the production of Pu239. Some of this plutonium fissions along with the U235, contributing to the total energy produced by the fuel elements. However, only a small fraction of the U238 is converted to Pu239 in this way before the fuel is consumed and it becomes necessary to replace the old fuel elements with fresh ones. In addition to a great deal of U238, these spent fuel elements contain a significant amount of plutonium, as well as other transuranic elements such as americium and curium, which can remain dangerously radioactive for thousands of years. The “waste” plutonium might even be used to produce a nuclear weapon. Obviously, if possible it would be better to extract all the energy locked up in natural uranium rather than just a small fraction of it. In fact, it is possible, or very nearly so. Breeder reactors are feasible that could burn nearly all the U238 in natural uranium as well as the U235 by converting it into Pu239. In the process they could destroy much of the transuranic waste that is the main source of radioactive danger from spent fuel. In as little as 500 years the residual radioactivity from running a nuclear plant for 30 years could potentially be less than that of the original naturally occurring uranium. Unfortunately, while all this is scientifically feasible, it is not economically feasible. It won’t happen without massive government subsidies. Perhaps such subsidies are warranted in view of the threat of climate change and perhaps not, but, regardless, breeder reactors won’t be built without them. Since they are really the only types of reactors it makes sense to build, we would probably be better off, at least for the time being, building no reactors at all. That’s the “silver lining” I referred to above. Perhaps a time will come when the world runs out of expendable sources of base load electrical power, such as oil, coal and natural gas, and no way has been found to take up the slack with renewables. In that case, it may once again make economic sense to build breeder reactors. Until that time, the United States would do well to build up a healthy stockpile of uranium, and put a stop to the stupid, wasteful, and counterproductive use of depleted uranium that could potentially become a source of vast amounts of energy to produce munitions and armor. But wait, there’s more! What about thorium? Thorium by itself can’t sustain a nuclear chain reaction. It can, however, be converted into U233 by neutron absorption, and that is an ideal reactor fuel. Among other things, it generates more neutrons per fission at lower neutron “temperatures” than either Pu239 or U235. That means that extra neutrons are available to “breed” fuel at those lower temperatures where nuclear reactors are easier to control. By “temperature” here, we’re referring to the average speed of the neutrons. The slower they are, the more likely they are to be absorbed by a nucleus and cause fission reactions. Neutrons are slowed in “moderators,” which can be any number of light types of atoms. The most common is plain water, consisting of the elements hydrogen and oxygen. Think of a billiard ball hitting another billiard ball head on. It comes to a complete stop, transferring its energy to the other ball. The same thing can happen with neutrons and the proton nucleus of hydrogen atoms, which are of approximately equal mass. To breed plutonium effectively, reactors must be run at significantly higher neutron temperatures. There’s more good news about thorium. It can be dissolved in various exotic mixtures and breed U233 in a reactor with a liquid instead of a solid core. This would have a number of advantages. In the first place, a “meltdown” would be impossible in a core that’s already “melted.” If the core became too “hot” it could simply be drained into a holding pan to form a subcritical mass that would quickly cool. It would also be possible to extract waste fission products and introduce fresh fuel, etc., into the core “on the fly.” As a result the reactor would be able to stay in operation longer between shutdowns for maintenance and refueling. The necessary technology has already been demonstrated at places like Oak Ridge, Tennessee and Shippingport, Pennsylvania. Recently, a Dutch team finally began experiments with molten salt technology intended to take up where these earlier experiments left off after a hiatus of more than 40 years. But, if it’s so safe and reliable why hasn’t thorium been used all along? Because (unlike uranium) it’s much harder to weaponize. As a result, it’s historically been sidelined by nations in search of both energy and a potential source of weapons-grade plutonium. This yarn about a benign source of energy that might have benefited all mankind being torpedoed by evil weaponeers might sound good, but it’s complete nonsense. Thorium itself can’t be weaponized, because it can’t sustain a nuclear chain reaction on its own. The sole reason there’s any interest in it at all as a source of nuclear power is the possibility of transmuting it to U233. Of course, it can’t be used to produce weapons-grade plutonium. However, there is no better material for making nuclear bombs than U233. As is the case with Pu239, four kilograms is sufficient to make a nuclear weapon, compared to the 25 kilograms that is a sufficient quantity of U235. It’s main drawback as a weapons material is the fact that small amounts of U232 are produced along with it in thorium-based reactors, and U232 decays into radioactive daughters that are deadly sources of powerful gamma rays. However, the amount of U232 produced can be reduced dramatically by cooling the neutron spectrum to a low “temperature.” In short, thorium could definitely be used to make weapons. The reason it isn’t the dominant technology for that purpose is the same as the reason it isn’t the dominant technology for producing electric power; it would be significantly more complex and expensive than using natural or slightly enriched uranium as a fuel. That reason is as valid now as it was in the days of Little Boy and Fat Man. The “dominant technology” would be the same as it is today whether nuclear weapons had ever been produced or not. When it comes to the technology itself, thorium proponents also tend to be coy about mentioning problems that don’t afflict other reactor types. For example, the materials needed for practical molten salt reactors are extremely corrosive. There has been progress towards finding a metal that can hold them, but no ideal alloy has yet been found. This isn’t necessarily a show stopper, but it’s not an insignificant problem, either. Such material issues have been largely solved for conventional reactors. If, as would seem to be the case, these are no longer economically competitive with their rivals, then molten salt is pretty much out of the question, at least for the time being. It’s important to point out that, if breeder reactors ever do become economically feasible again, it will always be necessary to insure that they are secure, and that the materials they produce can’t be diverted for making weapons. That concern applies to both plutonium and thorium breeders. Meanwhile, it might behoove our political leaders to consider the question of why it was once possible to build more than 50 experimental reactors at what is now Idaho National Laboratory alone in a relatively short period of time for a small fraction of what similar reactors would cost today. Merely negotiating the regulatory hurdles for building a power reactor based on anything as novel as the thorium fuel cycle would take the better part of a decade. All these hurdles have been put in place in the name of “safety.” That begs the question of how “safe” we will be if we lack reliable sources of electric energy. There is a point beyond which excessive regulation itself becomes unsafe. And how is this prodigious feat to be accomplished? Via none other than Nobel laureate Dr. Carlo Rubbia’s really bad idea for building accelerator-driven thorium reactors. It would seem that Dr. Rubbia has assured the credulous Telegraph editor that, “a tonne of the silvery metal produces as much energy as 200 tonnes of uranium.” This egregious whopper is based on nothing more complicated than a comparison of apples and oranges. Thorium by itself cannot power a nuclear reactor. It must first be converted into the isotope uranium 233 via absorption of a neutron. Natural uranium, on the other hand, can be used directly in reactors, because 0.7 percent of it consists of the fissile isotope uranium 235. In other words, Rubbia is comparing the energy potential of thorium after it has been converted to U233 with the energy potential of only the U235 in natural uranium. The obvious objection to this absurd comparison is that the rest of natural uranium is made up mostly of the isotope U238, which can also absorb a neutron to produce plutonium 239, which, like U233, can power nuclear reactors. In other words, if we compare apples to apples, that is, thorium after it has been converted to U233 with U238 after it has been converted to Pu239, the potential energy content of thorium and uranium is about equal. The Norwegian group Aker Solutions has bought Dr. Rubbia’s patent for an accelerator-driven sub-critical reactor, and is working on his design for a thorium version at its UK operation. In fact, Aker has already completed a conceptual design for a power plant. According to Aker project manager Victoria Ashley, the group needs a paltry $3 million, give or take, to build the first one, and another $150 million for the test phase to follow. Why is that disturbing news? Because the U233 produced in these wonderful new reactors will be ideal for producing nuclear weapons. In fact, it will be even better than the “traditional” bomb materials; highly enriched uranium (HEU) and weapons grade plutonium. The explosion of a nuclear device is produced by assembling a highly supercritical mass of fissile material, and then introducing a source of neutrons at just the right moment, setting off a runaway chain reaction. The problem with plutonium is that it has the bad habit of occasionally fissioning spontaneously. This releases neutrons. If such a stray neutron were to happen along just as the bomb material became critical, it would set off a premature chain reaction, causing the device to “fizzle.” As a result, plutonium weapons must rely on a complicated implosion process to achieve supercriticality before the stray neutrons can do their dirty work. Implosion weapons are much more technologically challenging to build than the gun-assembled types that can be used with HEU. In these, one subcritical mass is simply shot into another. However, the required mass of HEU is much larger than the amount of plutonium needed in an implosion-assembled weapon. 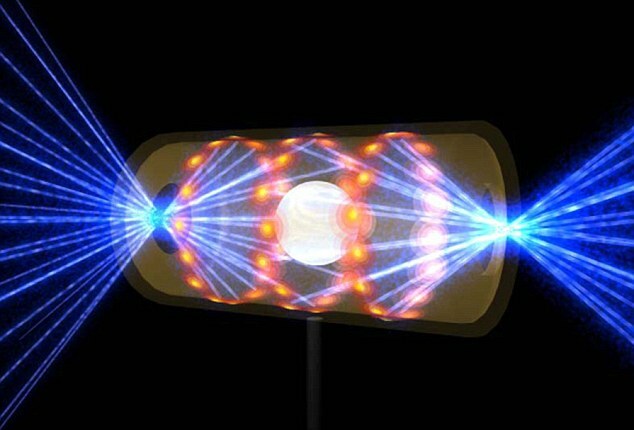 As it happens, the amount of U233 sufficient to build a nuclear device is about the same as the amount of plutonium, but spontaneous fission is not a problem in U233. In other words, it combines the plutonium advantage of requiring a much smaller amount of material, and the HEU advantage of being usable in gun-assembled weapons. It is almost impossible to make nuclear weapons out of thorium because it is too difficult to handle. It wouldn’t be worth trying. 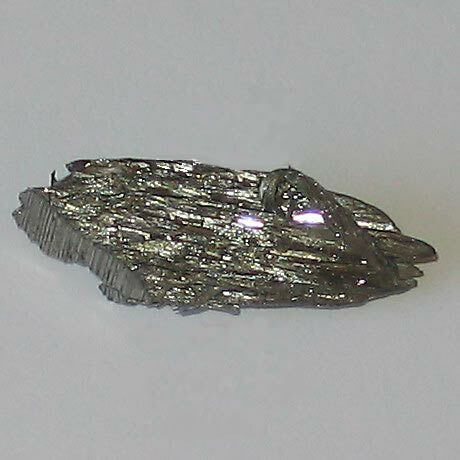 Rubbia has made similar statements, based on the same “logic.” The rationalization for the claim that U233 is “too difficult to handle” is the supposed presence of U232, an isotope of uranium with a half-life of about 69 years, one of whose daughters (elements in its decay chain) emits a highly energetic and penetrating, and hence deadly, gamma ray. In fact, avoiding the production of U232 in accelerator-driven reactors would be a piece of cake. Rubbia and Lillestol must know this, making it all the more incomprehensible that they dare to foist such whoppers on unsuspecting newspaper editors. Only one neutron absorption is needed for the production of U233 from naturally occurring Th232. Two are needed to produce U232. Thus, one way to keep the level of U232 within manageable levels is to simply extract the U233 before much U232 has a chance to form. However, there’s an even easier way. Very energetic neutrons, with energies above a threshold of around 6 million electron volts, are necessary to produce U232. Not many fission neutrons have that much energy, and slowing down the ones that do is simple. Simply pass them through a “moderator” rich in hydrogen or some other light element. Think of billiard balls. If one of them going at a good clip hits another dead on, it stops, imparting its energy to the second ball. Neutrons and the proton nuclei of hydrogen atoms have nearly the same mass, so the same thing can happen when they collide. A fast neutron will typically lose a large fraction of its energy in such a collision. In other words, the “secret” of avoiding the production of dangerous levels of U232 is as simple as passing the neutrons through a layer of hydrogen-rich material such as paraffin before allowing them to interact with the thorium. All this should hardly come as a surprise to people like Rubbia and Lillestol. It’s been old hat in the literature for a long time. For a more detailed treatment, see, for example, U-232 and the Proliferation-Resistance of U-233 in Spent Fuel, a paper that appeared in the journal Science and Global Security back in 2001. In other words, the idea that “it is almost impossible to make nuclear weapons out of thorium” is a pipe dream. That does not necessarily mean that thorium technology should be rejected root and branch. It will always be necessary to exercise extreme care to insure that U233 isn’t diverted for illicit purposes. However, managing the risk will be considerably easier in “conventional” thorium breeders, which rely on assembling a critical mass to supply the necessary source of neutrons. Such reactors have already been built and successfully operated for years. The U233 they produce will always be mixed with highly radioactive fission products, and can also be “denatured” by mixing it with U238, from which it cannot be separated using simple chemistry. Such reactors would produce few of the transuranic actinides that are the main culprits in nuclear waste, potentially requiring it to be stored securely for millennia. They could also consume the actinides produced in the current generation of reactors, so that the remaining waste could potentially become less radioactive than the original uranium ore in a few hundred years, instead of many thousands. If, on the other hand, the accelerators necessary to provide the neutron source for Dr. Rubbia’s subcritical facilities were to become readily available, they would be much easier to hide than conventional reactors, could be configured to produce U233 with almost no U232 contamination, and with much less radioactive fission product contamination. In other words, they would constitute an unacceptable risk for the proliferation of nuclear weapons. One must hope that the world will wake up in time to recognize the threat. You might get the idea from reading my blog that I have something against thorium. It ain’t so! I consider thorium a very promising candidate for supplying our future energy needs. It’s just that there’s something about the stuff that seems to drive people off the deep end. I actually missed the really bad thorium idea that’s the subject of this post when it turned up on the Internet about a year ago. However, the articles are still out there, and are interesting examples of how really bad science can be promoted as perfectly plausible by people who have impressive credentials, but actually don’t know what they’re talking about. The idea in question was the use of thorium fueled mini-subcritical reactors to generate power for a new generation of electric cars. It was proposed by an outfit called Laser Power Systems (LPS). Science may not be their strong suit, but their PR people must be top drawer. They actually convinced the people at Cadillac to embarrass themselves by designing a “concept car” around the idea. 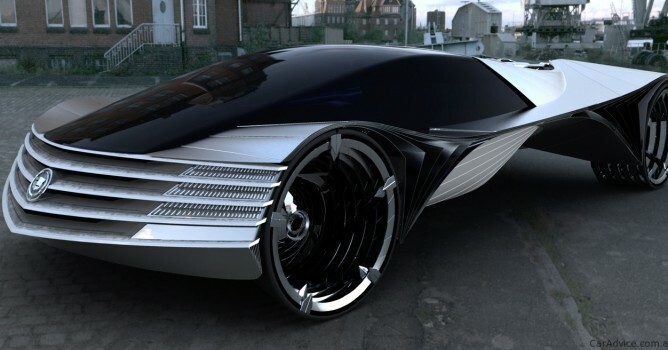 …because a gram of thorium has the equivalent potential energy content of 7,500 gallons of gasoline, LPS calculates that using just 8 grams of thorium in the unit could power an average car for 5,000 hours, or about 300,000 miles of normal driving. Where, the interested reader might ask, is all this energy to come from? Lasers, after all, are not a source of energy. In general, they are rather inefficient energy sinks. I found several similar articles, and none of them ever gets around to explaining this intriguing mystery. Well, the only possible way that such a small amount of thorium could come close to producing that much energy is via fission, and even if every bit of it underwent fission, it would still produce about an order of magnitude less energy than 7,500 gallons of gasoline. We are assured that, “only a thin layer of aluminum foil is needed to shield people from the weakly emitting metal.” True, but the same doesn’t apply to thorium’s fission products. They would eventually accumulate to become a potentially deadly source of radiation unless heavily shielded. None of the articles ever gets around to explaining where, exactly, the “thorium laser” comes in, what specific atomic transitions it would rely on, how, exactly, it would be pumped, and similar seemingly obvious questions. What can one do but shake one’s head and congratulate the LPS people on their brilliant success in bamboozling Cadillac and a whole host of ostensibly perfectly respectable science writers into taking seriously an idea that is completely wacky on the face of it? I’m certainly glad that I don’t fall for such pseudo-scientific nonsense. Oh, by the way, would anyone out there like to purchase a slightly used supply of fish oil pills?